Microsoft produced the last version of FrontPage in 2003 and this was discontinued in 2006. We finally removed the FrontPage extensions from our servers in May 2014 due to security concerns and lack of support. While it's no longer possible to use the Microsoft FrontPage extensions for it's active web components or uploading, it can still be used for editing web pages. 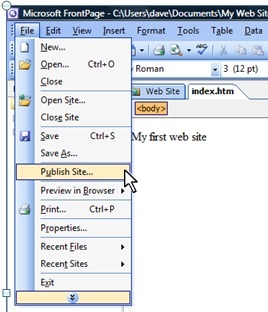 Select "Publish Site" from the "File" menu option towards the top of the screen. 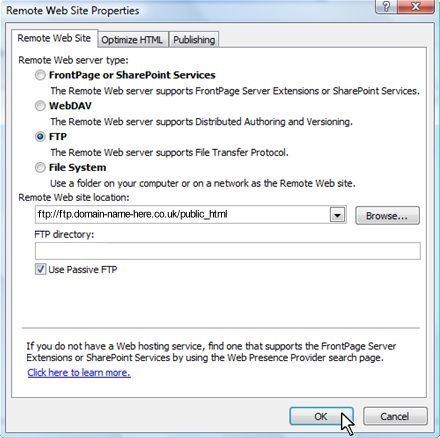 Within the Remote Web Site Properties window, select "FTP". Enter the Remote Web site location as "ftp://ftp.domain-name-here.co.uk/public_html" (replace "domain-name-here.co.uk" with your own domain). 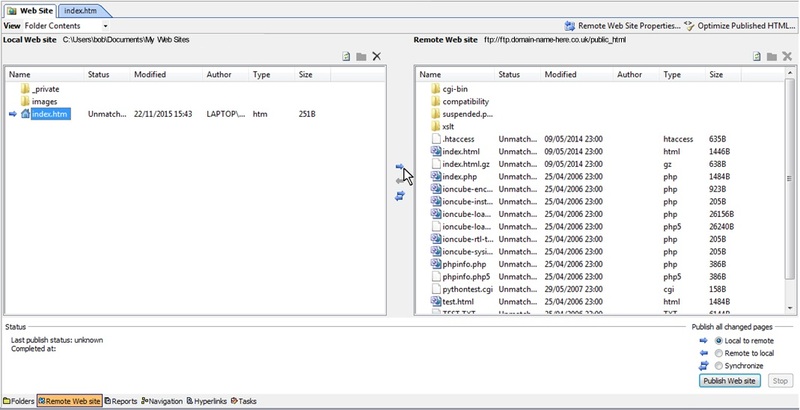 Leave the FTP directory blank (as this information has already been included within the Remote Web site location). Tick the "Passive FTP" box and click the "OK" button. 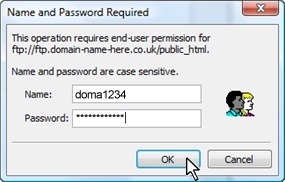 Within the "Name and Password Required" window, enter your account username and password, then click the "OK" button. You will see a window containing your local files on the left and the files on our server on the right. You can either select the files you wish to update within the left window and click the blue arrow pointing right or click the "Publish Web site" button towards the bottom right. Please take care with this button as everything within the right pane will be replaced with the files displayed in the left pane on your computer.